Our World Wars category includes men and women who made a lasting impression in history, but may not always be a hero or person who helped better humanity. In both World Wars there were also demons and those who would commit crimes beyond belief. 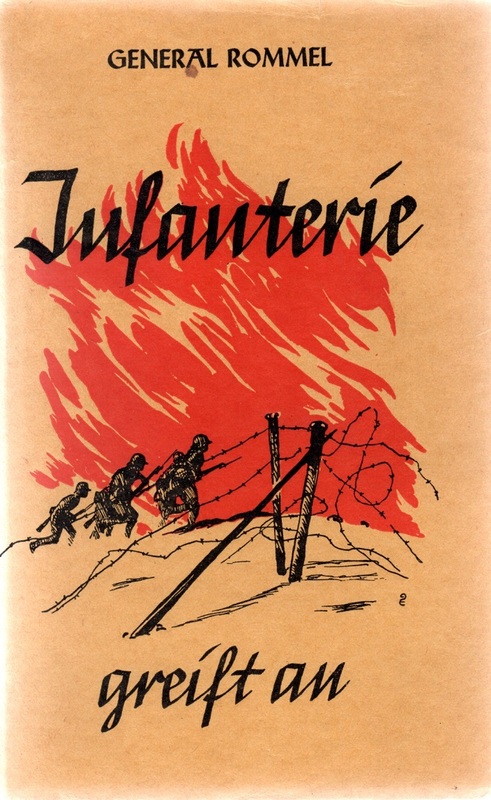 1947, German Prisoners of War, Awesome autograph and sentiment album. 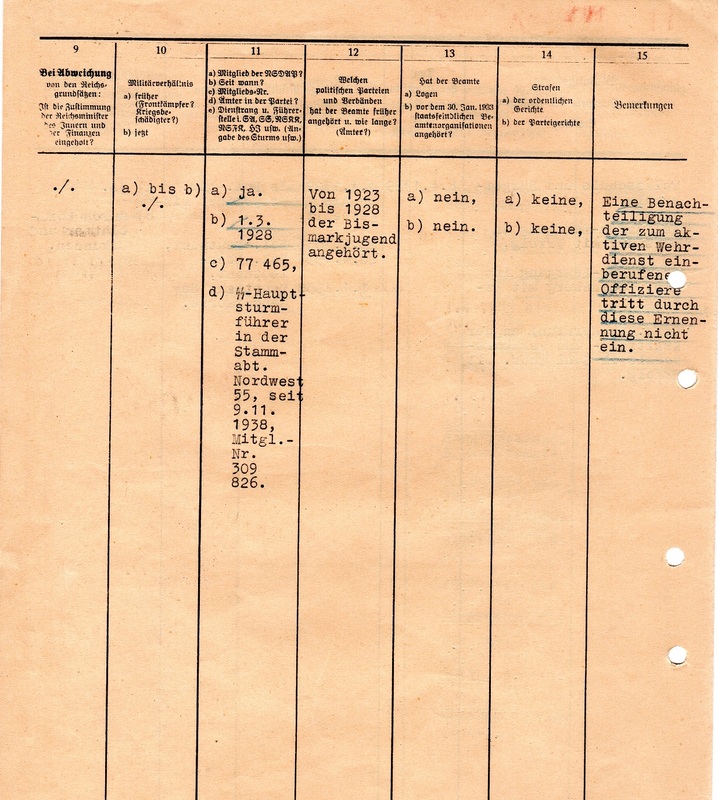 This is a wonderful, original wartime log from a US prisoner of war camp in Garmisch Partenkirchen/Bavaria in 1947. 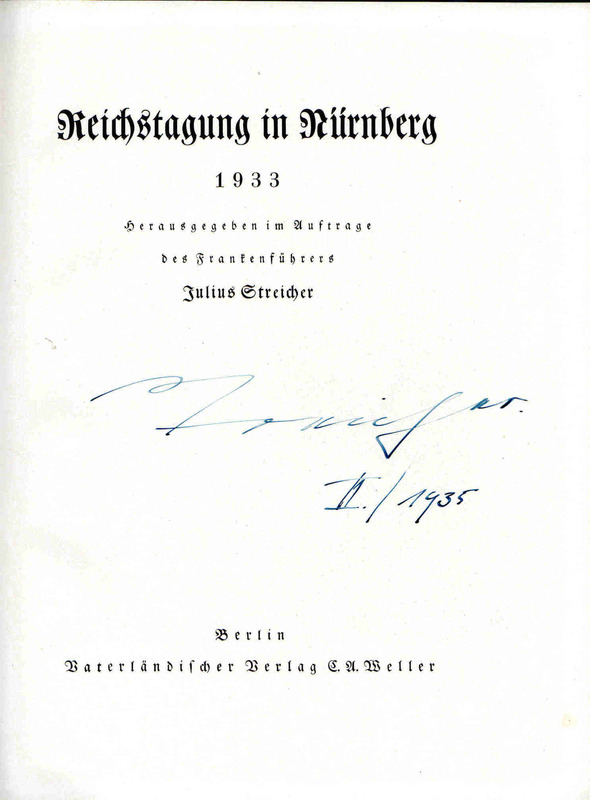 Inside the book are handwritten, very rare dedications and signatures by well known German officials and high ranking SS officers. Konstantin Hierl, Theodor Tolsdorff , Sachsenheimer and Pössinger to name a few. Many of them are still thinking that the Germans would win the final victory. There are 40 pages with handwritten entries, a handpainted frontice page, book is roughly 8x9 inches, in overall excellent condition. 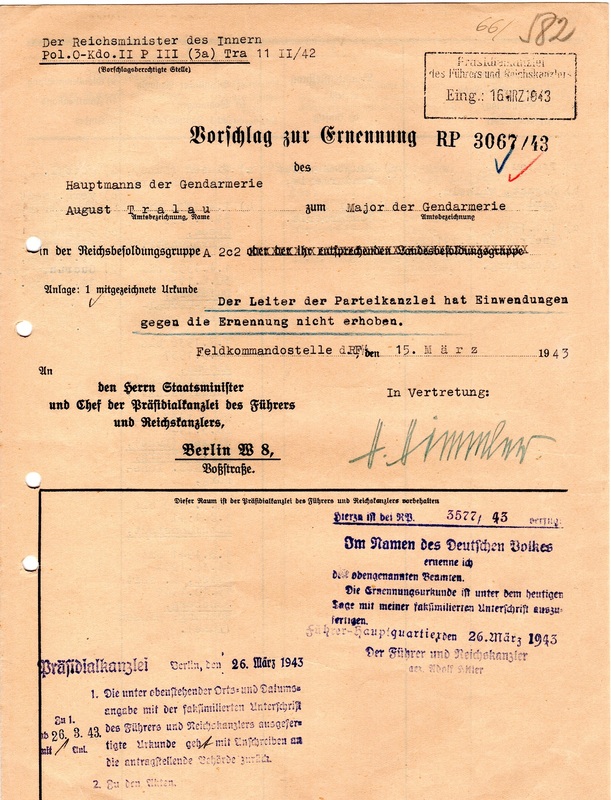 This is a wonderful orgigiinal document dated 1926m where Paul Von Hindenburg, Otto Gessler and Hans Von Seeckt have signed a promotion document for Captain Wilke is allowed to wear the uniform of a Major and all the privaleges of it when going to the hospital stays. 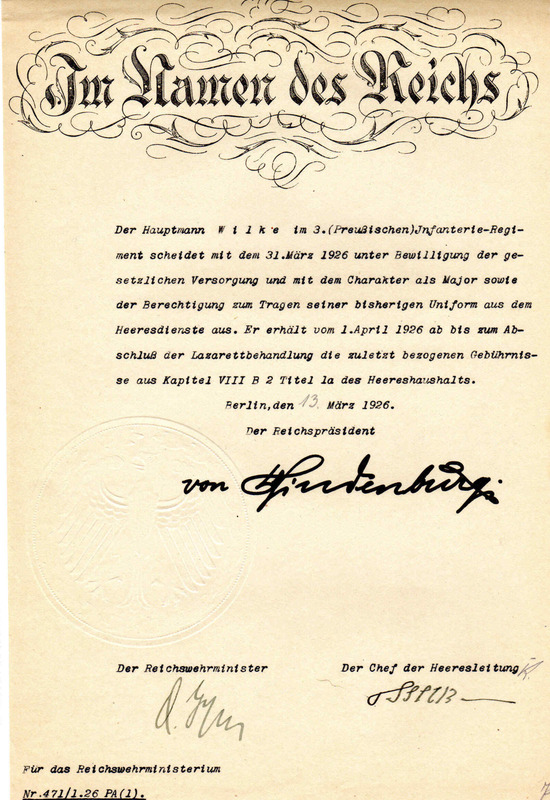 Document is large, 10x12, signed very nicely by Hindenburg across the middle of the document. Paul Ludwig Hans Anton von Beneckendorff und von Hindenburg , known universally as Paul von Hindenburg ( 2 October 1847 – 2 August 1934) was a Prussian-German field marshal, statesman, and politician, and served as the second President of Germany from 1925 to 1934. Otto Karl Gessler (or Geßler) (February 6, 1875 – March 24, 1955) would be detained in a German Prison camp for the assassination attempt on Hitler in 1944. Johannes Friedrich "Hans" von Seeckt (22 April 1866 – 27 December 1936) was a German military officer noted for his organization of the German Army during the Weimar Republic. This is a wonderful, original book, Reichstagung in Nurnberg 1933 (3rd Reich Party Days in Nuremberg), signed in bold ink by Streicher in 1935.11.5" x 9". 258 pages. Many B&W photos. This is the official photo and text book issued each year to document the annual gathering of Hitler's political party. The book was republished in September 1934 with all photos and references to Ernst Rohm (who had been executed that July in the "Röhm-putsch") excised. 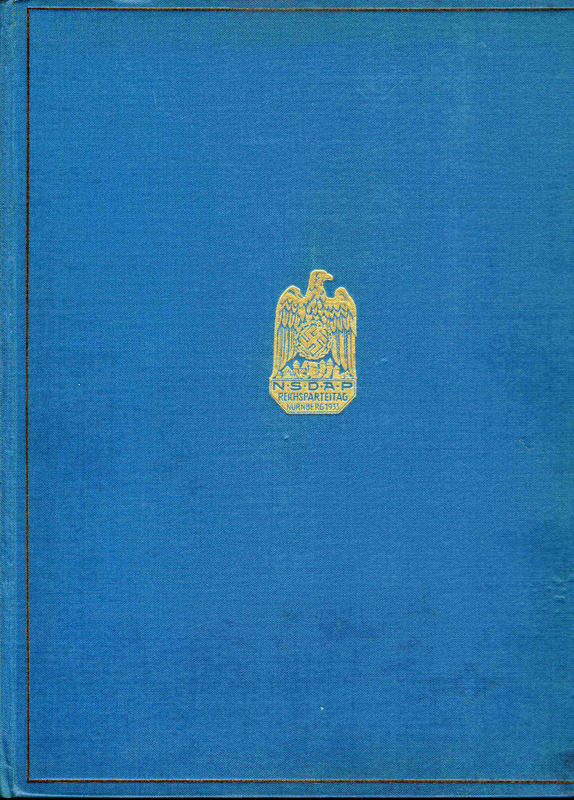 The book has wear to the outercover, no dust jacket, overall very good condition. 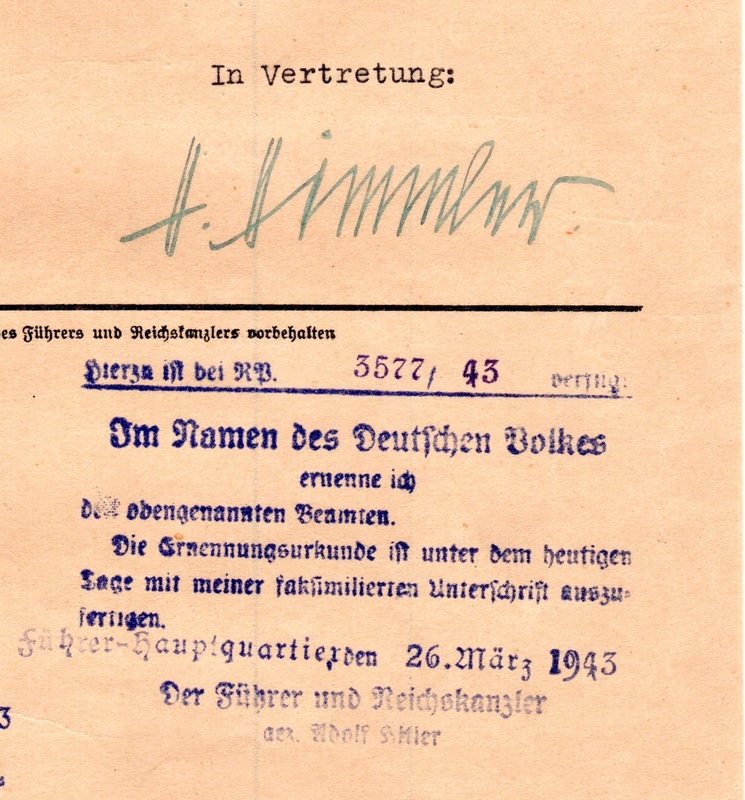 This document, dated 1943, Berlin, Ministry of the Interior, the Chancellor having no objections to a meeting, regarding a disadvantage for officers assigned to military service that are not of this generation.... hand signed by Heinrich Himmler. Signature is clearly hand written and guaranteed to be as such, not a facsimile or print. Document is 8x14, double sided, overall good condition. 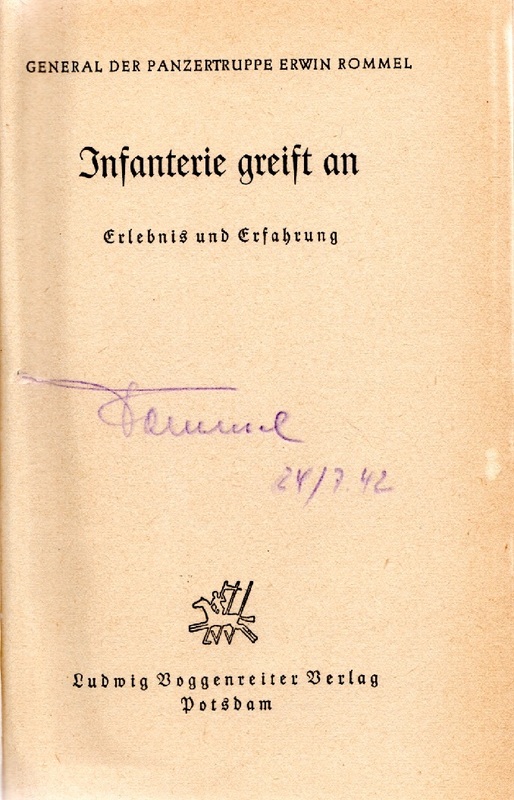 Book is signed by Rommel in violet pencil, dated July 24, 1942. Book has original dustjacket, overall fine condition.